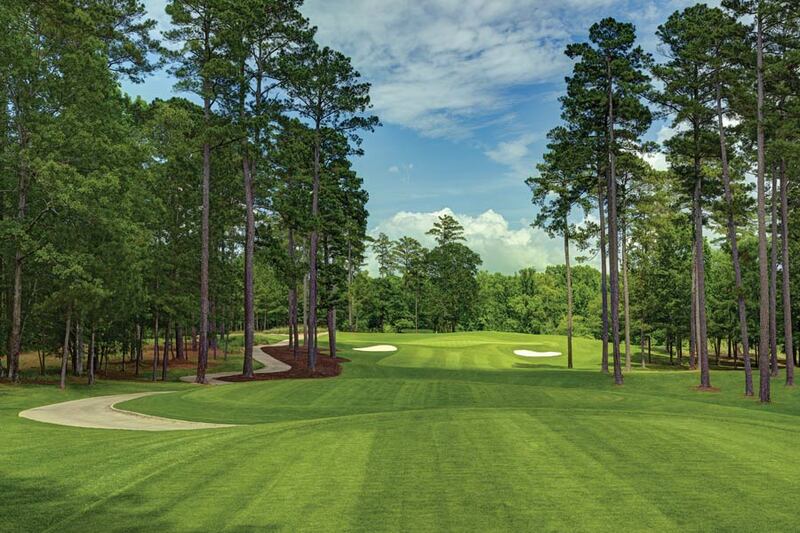 Fifteen miles from Augusta National, the delightful Georgia hideaway of Champions Retreat Golf Club will reveal itself to the world next month. Heading north from Augusta Regional Airport on Georgia State Route 232, you come to a stop light at the intersection with Washington Road. The rental desperately wants to turn right and at least drive past Augusta National Golf Club’s rather discreet entrance, just three miles away, but instead you take a left and continue on SR 104 for ten miles. The initial disappointment fades as anticipation of where you’re headed soon takes over. 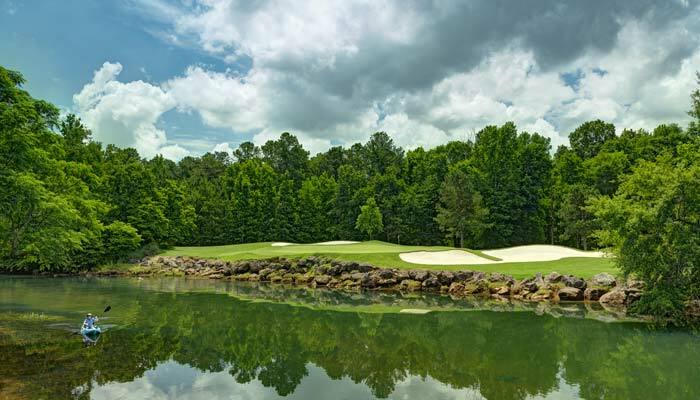 Your destination is the beautiful, and soon to be very famous, Champions Retreat Golf Club, part of a 1,200-acre, mostly-forested, predominantly residential property beyond the suburb of Evans. The golf club occupies about a quarter of that acreage, and verges on the grand, but peaceful, Savannah River which acts as the border between Georgia and South Carolina. The vibe here is wonderfully relaxed; the ethos, golf among friends. There are 27 holes designed by Jack Nicklaus, Arnold Palmer, and Gary Player—each of whom enjoyed considerable success down the road, combining for an astonishing 13 green jackets between the first of Palmer’s four victories in 1958 and the last of Nicklaus’s six in 1986. 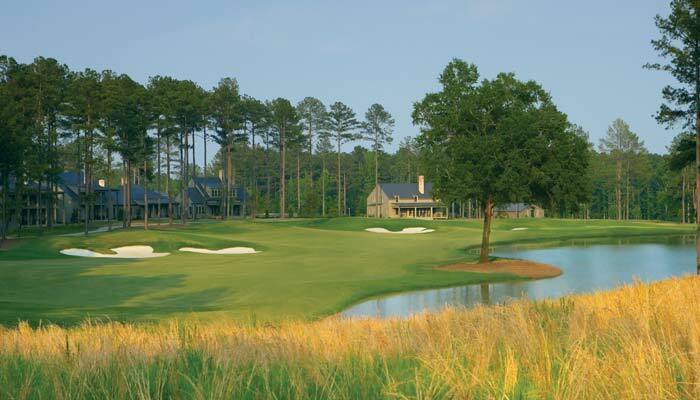 Champions Retreat and the surrounding Riverwood Plantation were developed at the start of the century by a consortium of companies and individual investors, one of whom—South African/American businessman Wayne Millar—was good friends with Player. During the champions dinner ahead of the 1999 Masters, Player convinced Nicklaus and Palmer to get involved and, together, they drew lots (well, index cards) to see who got which part of the property. As the eldest of the three, Palmer chose first, his card giving him the section that runs east from the clubhouse towards the river. His nine would be called the Island Course. Player was next and drew the flattest part of the property to the south and west of the clubhouse, which would become the Creek Course. That meant Nicklaus got the high ground to the north, and the Bluff Course. It would be entirely inaccurate to say that all changed in October 2014, when Connecticut-based businessman Bill Forrest, founder of private equity firm Tower Three Partners, purchased Champions Retreat. 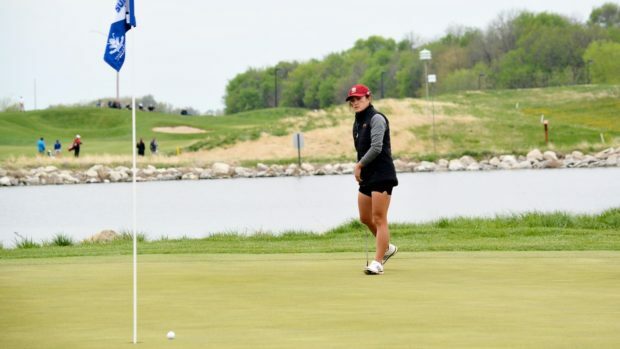 However, the club has become more media-friendly in the past few years and, since last April, it has certainly come to the golf world’s attention. During his pre-tournament press conference at last year’s Masters, the new Augusta National Chairman Fred Ridley announced the creation of a new event—the Augusta National Women’s Amateur (ANWA)—which would be played at the club the weekend before the Masters and be co-hosted by Champions Retreat. While the final round of the 54-hole strokeplay tournament involving the top 72 women amateurs in the world will be played on ANGC’s familiar holes, the opening two rounds will take place over a combination of Champions Retreat’s Island and Bluff Courses on Wednesday April 3rd and Thursday 4th (Friday 5th will be a practice day at Augusta National for the 30 golfers who qualify for the final round). As the buzz resulting from Ridley’s announcement and the public’s growing awareness of the event suggest, the Augusta National Women’s Amateur is a very big deal. The ultra-exclusive club has made significant efforts in recent years to contribute to the spread of the game globally, but the inauguration of the ANWA is a particularly momentous step for an organization that didn’t count a single female among its membership until 2012. While obviously impressed with the exceptionally high standards Augusta National demands and achieves, Wiebe should in no way sell his own club short. Yes, it is private but there are ways non-members can gain access. Though not a resort like Pinehurst or Kiawah Island, Champions Retreat is more accessible than Augusta National or Seminole, for instance. You really should take advantage of this window of accessibility and schedule a tee-time because the golf at Champions Retreat is, in short, stellar. Palmer’s Island Course is perhaps the pick of the three nines, but there really isn’t a weak hole on any of them. Palmer couldn’t cross the Savannah at any point (it’s too wide, though members often take on the 320-yard carry across the water), but the two par 4s that play alongside it are invigorating, as are the lovely par-3 6th and temptingly short par-4 7th. Nicklaus’s Bluff Course owns what is surely the property’s single most memorable hole. The 6th (15th at the ANWA) plays 325 yards downhill and curves slight right, the green wedged between a bank to the right and a creek on the left. 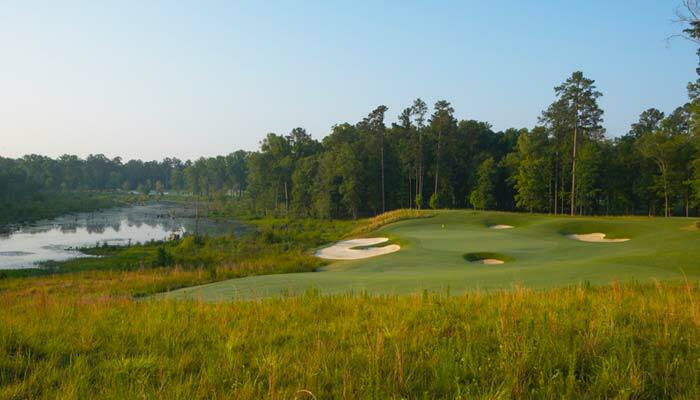 Player’s Creek Course, meanwhile, begins with an especially stout par 4 and proceeds through a number of similarly challenging holes including the club’s best par 5 at the 527-yard 5th. It finishes with a very fine par 4 – a 449-yarder that curves right around a lake and plays to a narrow green which demands careful placement of the tee shot. 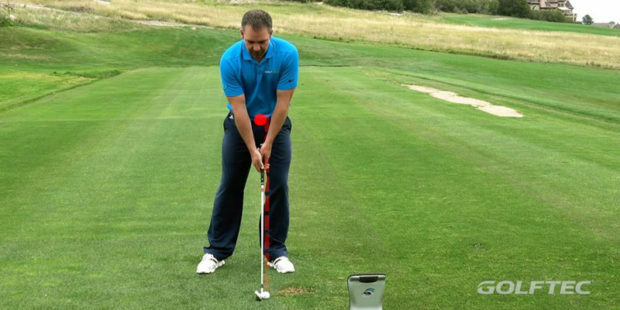 Firm and fast has long been Slemp’s mantra, but he does admit that with the ANWA approaching he has also had an eye on enhancing the course’s playability. “And having additional input from Augusta National has really inspired us to exceed our usual expectations,” he adds. Heavy rainfall earlier in the year raised the water table considerably and certainly didn’t help preparations. Temperatures climbed well into the 60s during February, however, enabling Slemp to get back on track and return the A1/A4 bent grass greens and 419 Bermuda fairways to something like their best. By the first week of April, they should be flawless. Another figure whose expertise members, guests, visitors, and the women amateurs can all benefit from is Executive Chef David Ross, a native Londoner who began his culinary career at Le Cordon Bleu school in Paris and, before arriving at Champions Retreat, worked at Augusta National, where he was the Tournament Chef at Berckmans Place during Masters Week. Ross cooked up a staggeringly good five-course menu in the magnificent, eight-bedroom Sweetwater Cottage during a recent stay. 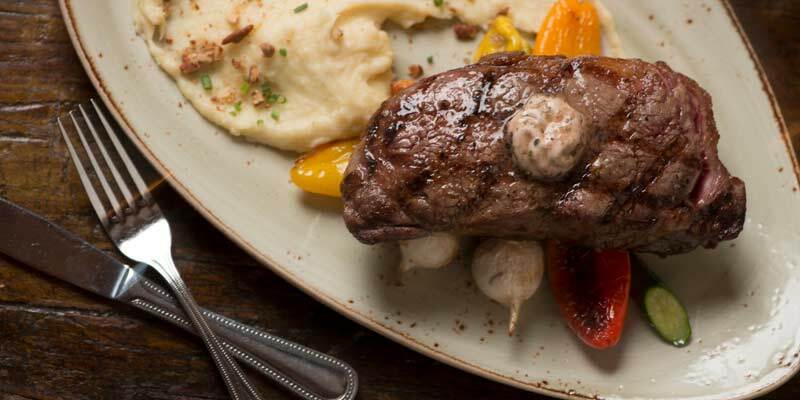 The meal included fried green tomatoes with pimento cheese and a delicious, spicy sauce; a pecan-encrusted grouper; and a sous-vide fillet as juicy, tender, and flavorful as a steak can be. A glass or three of Virgil Kaine Ginger Bourbon sent everyone to bed happy. And we remained happy…and relaxed, and amused, and charmed, and entertained, and rested, and entirely free of stress until it was time to leave. Longtime CAG Contributor Tony Dear regularly lives in Washington state. To learn more about Champions Retreat and rentals during 2020 Masters Week, visit championsretreat.net or call 706-854-6960.